After three years and three attempts, the Coalition Government succeeded in taking away the civil rights of a million workers by passing the ABCC bill. In Brisbane, two construction workers have died a terrible death, crushed by a nine-tonne concrete panel. They had no means of escape as the panel crashed down, caught at the bottom of a pit, with no emergency exit and nowhere to run. A good-looking, soccer-loving charmer, my good friend Tony Medina worked tirelessly for two decades to safeguard workers against the hazards involved in the removal of asbestos – an area he himself had worked in before becoming a union official. Mark Stevens may not be known to many people, but the company that went bust and consequently changed the course of his life is well known in the construction industry. There is no doubt that the recent announcement by the CFMEU of its intention to introduce a new proposal for an impairment policy that for the first time includes drug and alcohol testing was headline grabbing stuff that attracted claims of an ‘about face’ by the union on the issue. 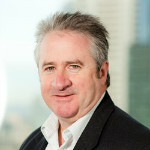 Dave Noonan is the National Secretary of Australia’s largest construction union, the Construction, Forestry, Mining and Energy Union, (CFMEU) Construction and General Division. Dave has worked for the union for over 25 years. Prior to becoming National Secretary in 2006, he was an organiser and industrial advocate with the CFMEU Victorian Branch, and its antecedent the Building Workers’ Industrial Union (BWIU). Prior to becoming a union official, Dave was a construction worker. Dave is a trustee director of CBus, the pension fund for Australia’s construction workers. The fund grew from an industrial campaign nearly 30 years ago and has 655,000 members and $30 billion in Australian funds under management. He is also a Director of CBus Property which invests in Australia’s building and construction industry and also serves on Cbus’ Investment Committee.